There is only rescue association in all Laos, and it is not financed by international organization or big NGO. Why you have to look about this experience to empower your emergency services? If you believe that something like this is impossible, you are wrong. 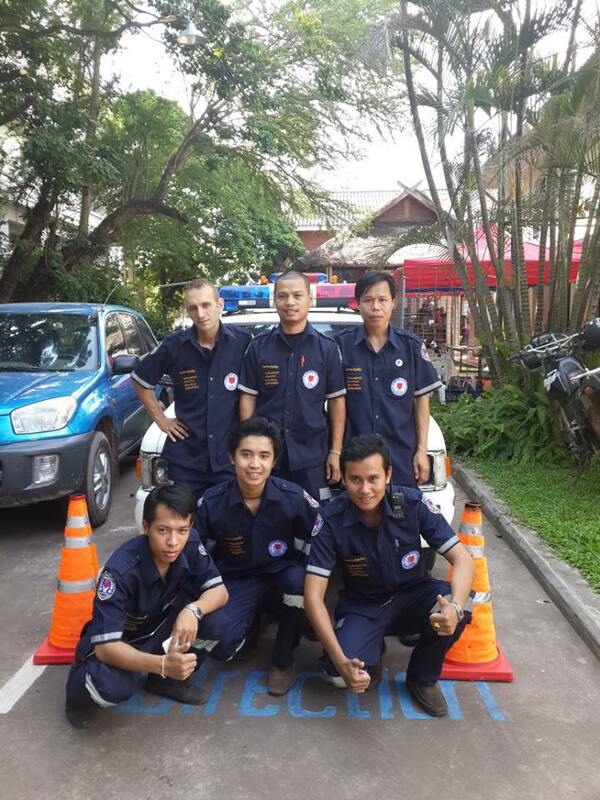 Please, look at the example of the Vientiane Rescue 1623 in Laos: a volunteer association that makes possible a modern EMS service activity with 8 ambulances and a Fire truck, in a city with 783.000 inhabitants . 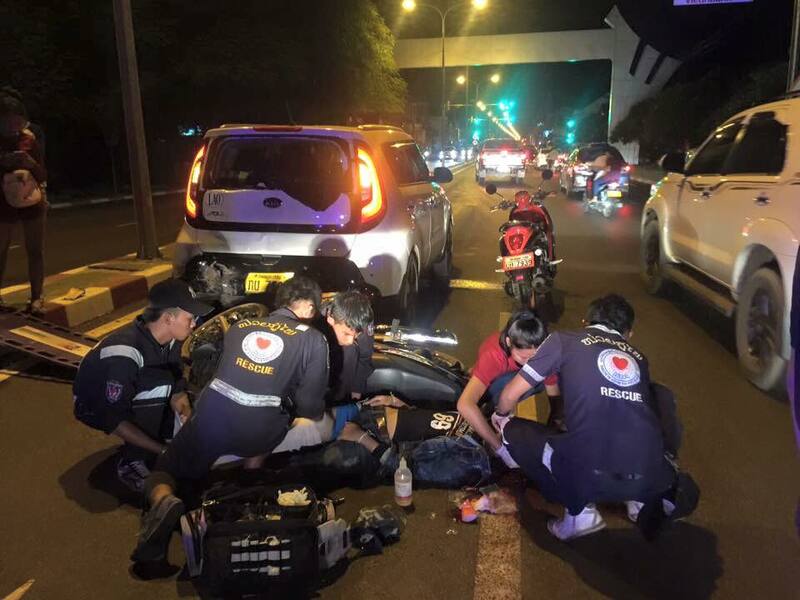 Before Vientiane Rescue, the capital city of Laos had nobody to take care of road traffic victims, left to die on the road side. Despite international organizations, NGOs, WHO and United Nations agencies presence for decades, there was no ambulance service in the country. But like drops on a stone, Vientiane Rescue transformed an insane idea to reality. The story of the association starts in 2010. A handful of local volunteers and Sebastien Perret, (who worked as paramedic and firefighter in France) decided that Vientiane must have a free ambulance service. 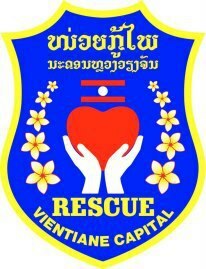 Today, Vientiane Rescue and its 200 volunteers operate on a 24/7 basis, with 8 ambulances and 4 rescue stations to cover the whole city, a fire fighting team and a fire truck, a boat and a scuba rescue team, a hydraulic rescue team and their tools, and first responders and EMTs teams. “Things changed a lot – explains Sebastien Perret – At the moment, our situation has improved a lot, but on the other hand there are more and more accidents on the road. We are proud of the work achieved and our volunteers hard work has been recently awarded by the so called “Asian Nobel Price” Ramon Magsaysay. But still there is a lot of work to do: we rescue around 500 to 600 people per month, with 70% of them being in serious conditions. 90% of the calls are for road accidents. As long as we only really on donations, we have to save money wherever we can, including the use of cervical collars washed and reused. Could you describe the situation where you work with your team? 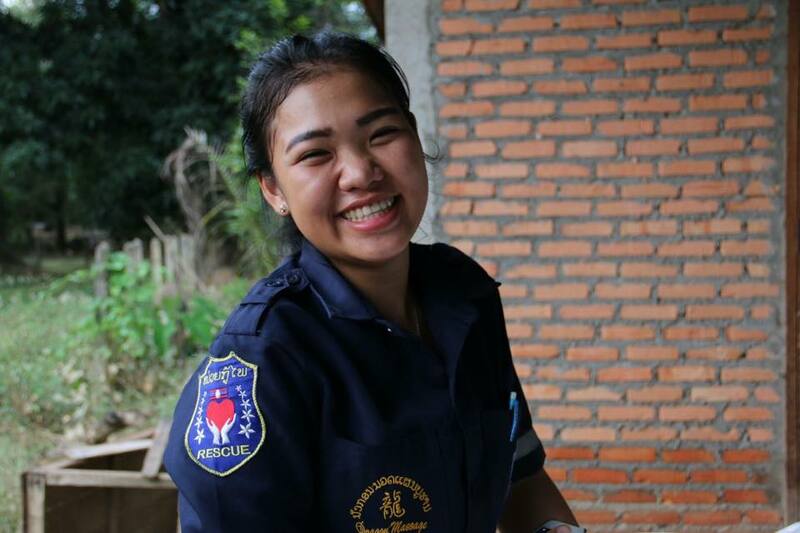 “We are called for any kind of life threatening situations in Vientiane: fires, drowning, road traffic accidents, baby deliveries, snakes, fall from heights… We are a “I don’t know what to do” service. Vientiane is a small city but there are a lot of accidents. But thanks to our 4 rescue centers, we can reach the accident places within 3 to 7 minutes. Most of the time, one of our volunteers is already at the accident place when our ambulance arrives, providing first aid. We then transport our victims mostly to the unique trauma center of the country, where they are overwhelmed with patients from every provinces. How do you organize trainings for your volunteers? “At first I gave training to the volunteers myself. Now we have our own trainers that can provide basic training, but in the end we send our volunteers to Thailand where they get “First Responder” courses and “Emergency Medical Technician-Basic” certifications. Thailand and Laos share a close language, and we have a lot of friends in Thai Rescue teams, especially in Korat, central Thailand. But relying on Thailand is not sustainable, so our plan in the future is to build the first EMS training center in Vientiane, to be able to train our volunteers ourselves. But this is a huge challenge, EMS do not exists in Laos, even the vocabulary is not defined, nor the legislation. We sometimes wonder if we have the right to use AEDs, IV and drugs as there’s no regulations for the moment. But we’ll do it. When I see where we start and what we’ve achieved in just a few years, everything looks possible. Do you also have other projects to develop and improve the EMS service in Laos? “We are building our future right now, with Thailand and Japan. Japan because they have the expertise and because we need a EMS system that we can learn from. Their system is amazing, so clever and so well managed. Building a partnership for us means friendship first. We don’t work with people we don’t trust. And the Japanese medical doctors from Kokushikan University and NCGM hospital in Tokyo are true friends. We share a common passion. We are now at a stage where we did the maximum we could by ourselves. Today, we need a higher expertise if we want to move forward, and may be one day, build a trauma center where we could treat our own patients ourselves. This is something outside of our scope, but this could be possible if we work hand in hand with other Asian Countries. Your association is building an EMS service from base to the top. Many aspects are different from other countries that we see every day on the newspapers. There should be somewhere some service that look like ours. We would be curious to meet them and share experiences. But it’s always a bit surprising for us to read articles about rescue services with 5 million dollars yearly budget with the same activity volume, while our yearly expenses are somewhere around 80,000 USD a year. In today’s world, football players, paid millions of dollars, are called heroes. I’m wondering….how do you call our volunteers, working for free, asking no questions, giving their time, their energy, their skills, sometimes even their own pocket money to sustain our service, risking their lives when they enter building on fire with their second hand fire suits full of holes? Our volunteers are the future of humanity, local people finding local solutions to local issues, taking matter in hand to build a better future. In the future, what kind of service do you imagine for Laos? I’m French, so at first I was wondering between “ scoop and run” and the French “ stay and play” systems. But after witnessing the EMS systems of a few countries, all of them using the “scoop and run”, and reading studies showing the weaknesses of the “stay and play”, I realised, little by little, that the French system is insane. I hope that we’ll be able to continue to provide our service the way we do it today, and improve our skills and equipment. But I’m quite confident: Thailand tried to set up an EMS service in Vientiane a few years ago. They failed. Then, a large NGO tried to do the same with a local hospital. They failed. So, why do we succeed? Our recipe is very simple. We didn’t build a team, we built a family, with love, respect and passion. Love and passion are not for sale. That’s why we don’t want to work with NGOs, our visions are totally different. They have short term contracts, short terms views. We don’t. What are the most important device that you need at the moment? We are always wondering what to buy first, when we get big donations. We actually have a lot of things to buy to improve our service, but I think the best equipment we would need right now, apart from cervical collars to renew ours, it would be the “scoop board” or “combi board”, the one with head immobilisers. We have a lot of back fractures, and transferring a traumatised patient to a hospital bed is hard, such a board would be so helpful and much safer for our victims. 90% of our specialised equipments are bought abroad, there’s no specialised shops in Laos, so everything is always 1.5 to 3 times more expensive. A scoop board is 700 USD, you can imagine how much we would need to spend for 8 ambulances…Vacuum splints also…we only have one set right now, but they’re way too expensive for us to buy for our 7 remaining ambulances, so we use wooden splints, but it’s time consuming, and we have to use many bandages, that cost us money too. Vacuum splints would be more sustainable in terms of time and cost saving. A further step would be to get manual defibrillators, as AED pads are too expensive for us, but we are not ready yet, our volunteers need to learn English”.